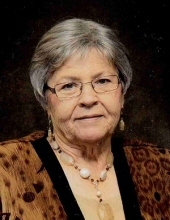 Norma J. Schmidt, 87, of Adams, passed away at Gold Crest Retirement Center in Adams on Tuesday, January 22, 2019. She was born November 1, 1931 at Pickrell, Nebraska to Ben and Clara (Agena) DeBuhr. Norma was baptized on November 19, 1931 and later confirmed June 16, 1946 at Zion Lutheran Church of rural Pickrell. She married Edwin Schmidt on January 9, 1949 at the American Lutheran Church of Adams and they lived and farmed in rural Adams until moving into Adams in 1985. She also worked for Freeman Schools as a special education driver, Lakeview Living in Firth as an Aid, Lancaster Manor in Lincoln in the Laundry Department and at Goldcrest Retirement Center in Adams as an Aid and in the Daycare. She was a member of the American Lutheran Church of Adams. Survivors include son, Jim Schmidt of Mission, TX; daughter, Janice (Vince) Goracke of Lincoln; daughter-in-law, Beverly Schmidt of Eagle; 12 grandchildren, Ronnie (Mandy)Schmidt, Heather (Ryan) Peery, Troy Schmidt, Angela (Joel) Sup, Ashley (Heath) Mannis, Lori Goracke, Bill Goracke, John (Michaela) Goracke, Marthy (Nate) Bailey, Walter Goracke, George Goracke and Frank Goracke; 17 great-grandchildren; brother-in-law, Robert (Annora) Schmidt; sisters-in-law, Fran Schmidt and Marjory Schmidt; nieces and nephews and many friends. She was preceded in death by her parents, Ben and Clara Agena DeBuhr; husband, Edwin; sons, Ronald and Gerald E. “Jerry” Schmidt; sister, Bernice Jurgens. Funeral services will be held at the American Lutheran Church of Adams at 1:30 P.M. on Tuesday, January 29, 2019 with Pastor Nathan Metzger officiating. A family prayer service will be held at 1:00 P.M. in the fellowship room of the church. Burial will be in the Highland Cemetery of Adams. The body will lie in state at the Fox Funeral Home of Beatrice from 12:00 noon to 8:00 P.M. Saturday; at Fox Funeral of Adams from 3:00 P.M. to 8:00 P.M. on Sunday and from 12:00 noon to 8:00 P.M. on Monday and at the church one hour preceding the services on Tuesday. The family will meet and greet friends and relatives on Monday from 6:00 P.M. to 8:00 P.M. at Fox Funeral Home of Adams. In lieu of flowers, a memorial has been established to American Lutheran Church of Adams with Karl Gramann in charge. www.foxfuneralhome.net Arrangements entrusted to Fox Funeral Home of Adams. To send flowers or a remembrance gift to the family of Norma J. Schmidt, please visit our Tribute Store. "Email Address" would like to share the life celebration of Norma J. Schmidt. Click on the "link" to go to share a favorite memory or leave a condolence message for the family.